Kate & Chris Hinton were looking for a country investment, not too far away from both Canberra and Sydney with rich soil for gardening. “When we drove out to Crookwell through the beautiful countryside, we were full of hope that we were heading in the right direction. “ Their hopes were confirmed when they purchased Ravenscroft on Carrington Street. The Ravenscroft homestead has existed for 176 years and the blacksmith’s hut even longer. Part of this property was the Santa’s Hideaway Christmas Shop which Chris and Kate ran enthusiastically for a further 18 months. 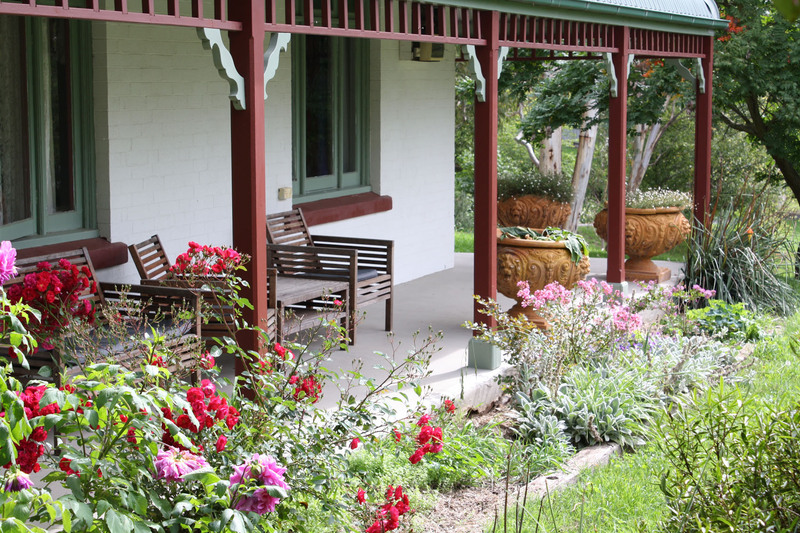 The 3 acre property has been a work in progress including the transformation of not only the vast garden area but also both cottage and homestead into a successful B & B accommodation business. Ravenscroft is located at 16 Carrington St, Crookwell, NSW 2583 or contact 04 3844 7333.